Researchers at the University of Edinburgh are developing a new compound to extract gold from used electronics. Around 7% of the world’s gold is inside e-scrap, of which less than one-third is currently salvaged, according to project leader Professor Jason Love. One tonne of gold ore contains around up to 5 grams of pure gold. However, a tonne of discarded mobile phones easily holds 300 grams of the valuable metal, Love says. The chemical reagent pioneered by in Edinburgh effectively recovers ‘a very high purity of gold’ from various types of discarded electronics. First, the researchers place the printed circuit boards in a mild acid to dissolve metallic parts. 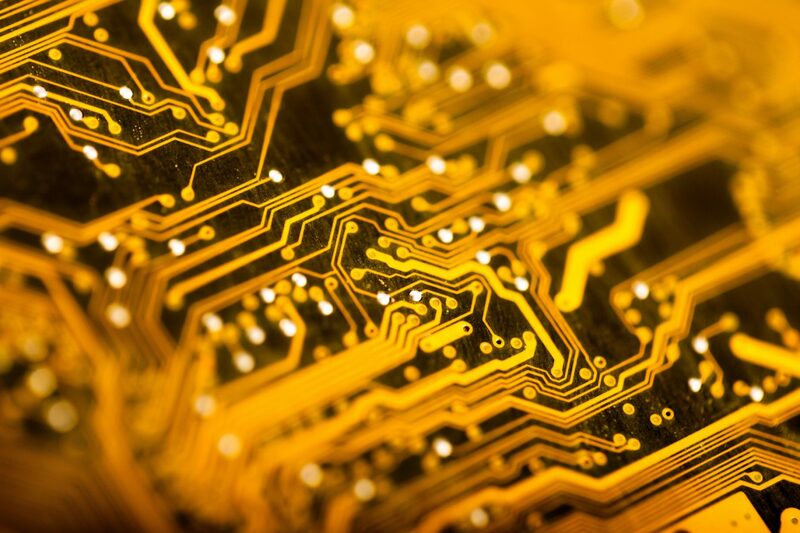 An oily liquid containing the new reagent is then added, which allows gold to be extracted selectively from the complex mixture of metals found inside electronics. Professor Love explains that, normally, one molecule of reagent binds directly to a metal molecule. The innovative compound uses a different type of chemistry and can bind to clusters of gold molecules instead of just one. ‘This means you can use a lot less of it to recover the same amount of gold,’ he says. Looking ahead, the scientists want to recover other valuable e-scrap metals including palladium, platinum, and neodymium. New reagents could be developed to salvage these, as well as common metals such as copper and tin. Love believes there may also be the opportunity to extract toxic metals such as cadmium and lead. The Scottish experts are also interested in seeing how chemistry could be used to recover plastics from the growing mobile phone waste stream.